Welcome to my bookshelf. Okay, it’s not literally my bookshelf, because this is the internet not my bedroom. But here you will find my thoughts and ramblings related to the stuff I’m reading. I read all sorts of things, and my reviews here aren’t so much to make you go out and buy the book (that’s up to you, friend) but to give you an insight into my reading experience. I explore the world around me one book at a time. I use them for escaping to other worlds, or learning about new ideas and opinons, or to find voices that explain concepts/emotions/experiences that I find difficult to articulate or understand in my own life. Right, I’ll introduce myself now. I’m Jade, and I’m a writer, poet, freelancer and information assistant in a library. But more than any of those things I’m a person just trying to navigate their way around life. I do a lot of creative things with creative people, but I can also be a bit of a hermit who loves nothing more than to watch Doctor Who a lot before escaping off into the virtual world of Animal Crossing. I write a lot of poems, mostly in my head, but occasionally they make it to the page. Sometimes I read them out to people, and occasionally they end up in books and zines. For a list of publications my writing has appeared in, click here. I write spoiler-free reviews, but if a book had such an impact on me that I can’t write a review without including spoilers, then I will give you fair warning! My philosophy on book reviews is that they give you a sense of what you’re going to encounter when you open a book, and ultimately, a review is down to personal opinion. What I want to do is offer you my thoughts, and then let you find out for yourself. Reading is an adventure, and this blog is a map of mine. You’ll also find author interviews. I think it’s important to pin these creative people down and ask them a bunch of questions about what they do, so that we might learn a thing or two and maybe even get a little bit of inspiration along the way…and also more books. You can read all of my interviews here. If you want to be a featured author, get in contact! 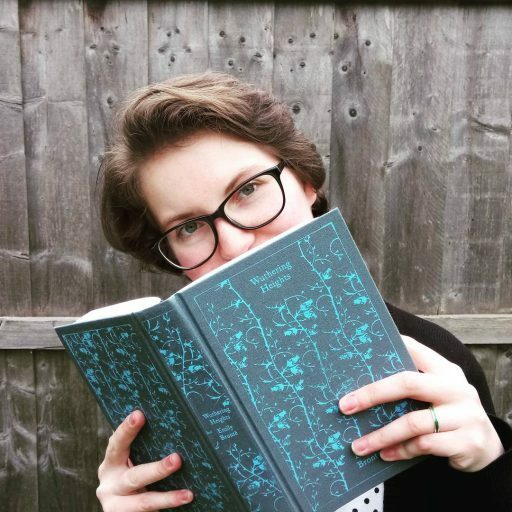 You can follow my bookstagram at @bookishjade to see what I’m reading turned into nice photos and insights into my strange life. Happy reading/doing what makes you happy! And feel free to leave your comments and thoughts, I’m always eager to hear what fellow-human beings think about stuff I’m interested in. *I sound like I’m trying to justify my life to you, but really I’m just telling you the facts, while subtly trying to say DO WHAT YOU LOVE, DON’T SETTLE FOR LESS THAN YOU DESERVE, LIVE THE LIFE YOU WANT TO LIVE IN THE BEST WAY YOU CAN, while also being someone who is still stumbling through all of it. **If you read this magazine you’ll find out why Beeston is the centre of the known universe. I haven’t had this confirmed by Brian Cox yet, but I’m pretty sure I could convince him.